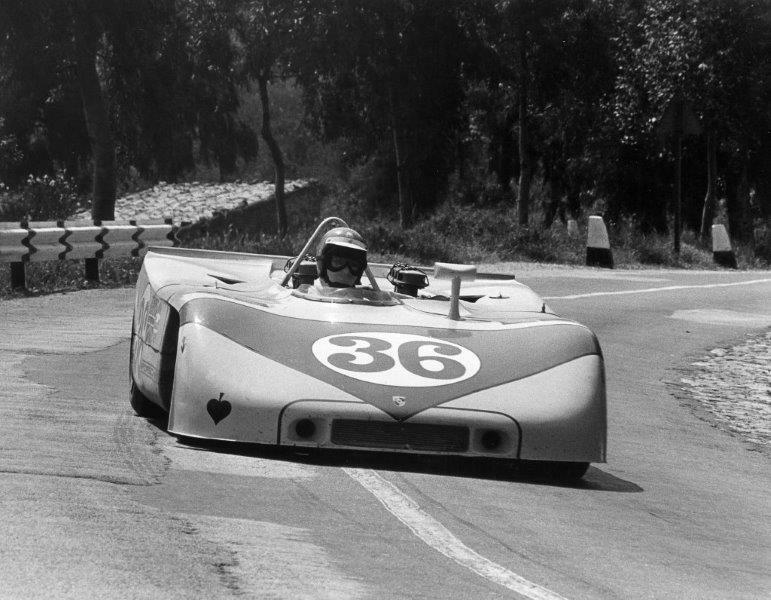 One of the most renowned of all World Championship endurance racing Porsche sport-prototypes, this 908/03 began life as one of the legendary Gulf-JW Automotive racing team's quasi-works entries for the 1970 Targa Florio and Nürburgring 1,000Km races, co-driven respectively by Richard Attwood/Björn Waldegård and Pedro Rodriguez/Leo Kinnunen. 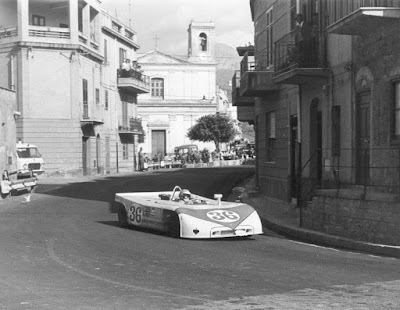 Chassis '11' finished 5th in the great Sicilian Targa Florio, and qualified 2nd fastest on the German Nürburgring circuit. 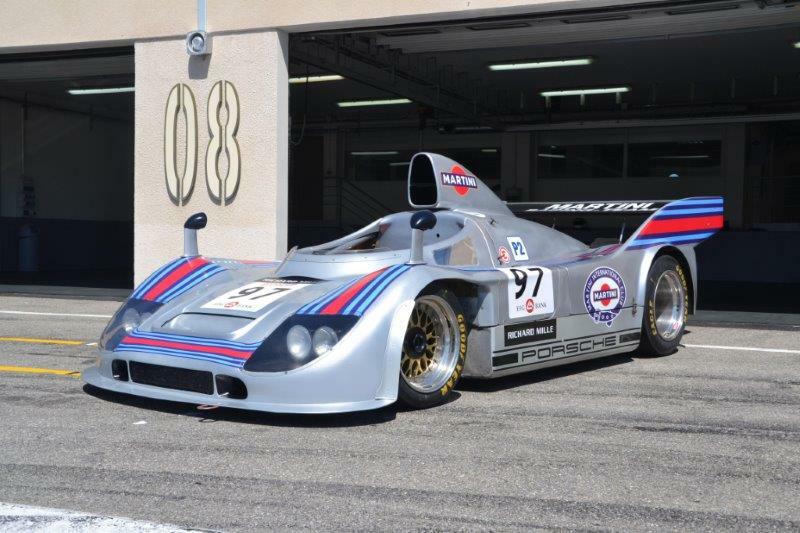 Later sold and converted by Porsche into a 908/03 Turbo for the 1975 Martini Racing programme, chassis '11' then finished 3rd at Mugello, Italy, co-driven by Gijs van Lennep/Herbert Müller, and once again raced in the Nürburgring 1,000kms (co-driven by Kinnunen/Müller), before winning the Mainz-Finthen InterSerie race. 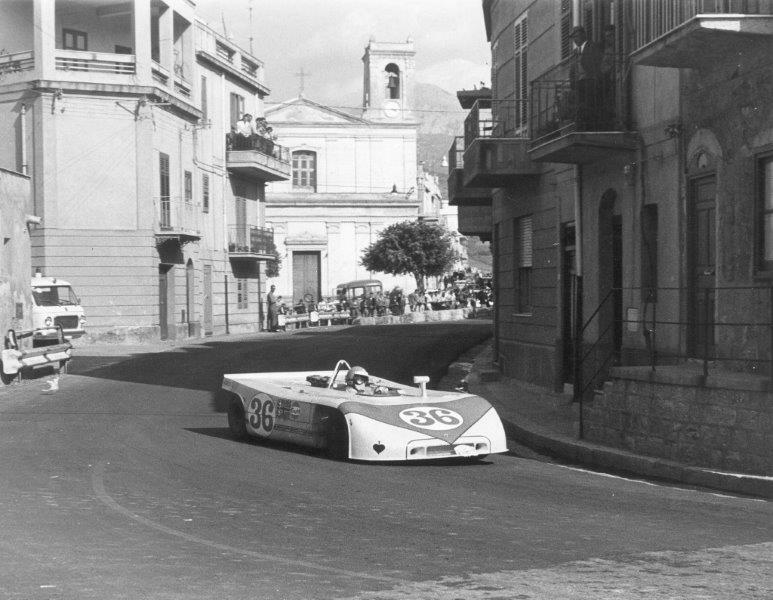 It was later raced by Jürgen Neuhaus, Jürgen Barth, Axel Plankenhorn and Dr. Sigi Brun. Fitted with a 660bhp twin-turbo 2146cc flat-6 cylinder engine, the car most recently finished 2nd at Ricard-Castellet in 2013, and is eligible for the Le Mans Classique, Proto Seventies and Pre-1980 endurance series events. It is offered ‘on the button’ – ready to impress! The super-light, super-compact 908/03 was absolutely the minimum car for the maximum engine (and driver), initially in 1970 with 3-litre flat-8-cylinder power for the twisty Targa Florio and Nürburgring courses – then for 1975 re-engined with the 2.1-litre turbocharged flat-6 to excel on circuits of all kinds, worldwide. This example’s entry for public auction provides a rare and important opportunity. The Bonhams Goodwood Revival Sale takes place on 12 September at Goodwood Motor Circuit, Chichester, West Sussex.